Farming is a tough job with daily challenges that extend beyond the physical. Farmers must keep a keen eye on the market to make decisions about the running of their business. For small-scale farmers in agricultural nations like Ghana, deciding what to plant, when to harvest, where to sell to and at what price is critical, yet farmers rarely have access to information about current market prices. This means they have little negotiating power when it comes to agreeing fair prices for their produce with traders. This is where Esoko comes in. Dubbed the ‘Facebook for farmers’, Esoko is a platform that facilitates the sharing of information among farmers in rural areas through an online platform, and SMS messaging for those who do not have easy access to the internet. Esoko keeps members updated with weather forecasts, agricultural tips, crop calendars and market prices. Farmers can share knowledge and localised information, and there is a dedicated call centre to deal with specific queries. Esoko also provides a link between farmers and agricultural NGOs, businesses, and government agencies; it gives farmers access to a network. Esoko – from the Swahili word for market, Soko – directly benefits 350,000 farmers in 10 African countries, including Malawi, Cote d’Ivoire, Mali, Nigeria, Mozambique, and Madagascar. The platform will soon roll out in Kenya, Ethiopia and Zambia. 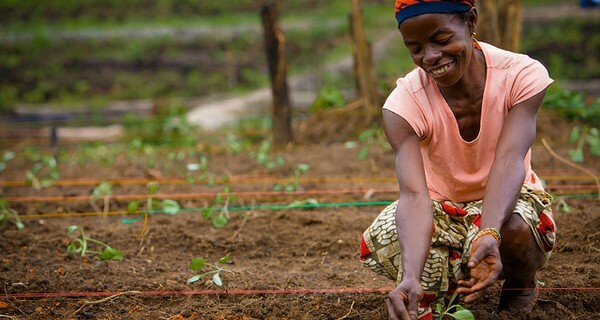 Esoko’s aim is to empower farmers in Africa so that they can make informed decisions when it comes to their livelihoods. Accra-based CEO Mark Davies believes that improving farmers’ lives will lead to improvements in agriculture as a whole, and is currently looking for research partners to study the impact of more sophisticated content services on farming. To find out more, visit Esoko’s website at esoko.com. Image 'FTF Program in Liberia' courtesy of TED Conference.